Marinade chicken breast fillet for at least one hour before grilling. Pan grill chicken until lightly golden brown in color. Set aside. For the sandwich, spread a teaspoon of light mayo on one side of the bread. 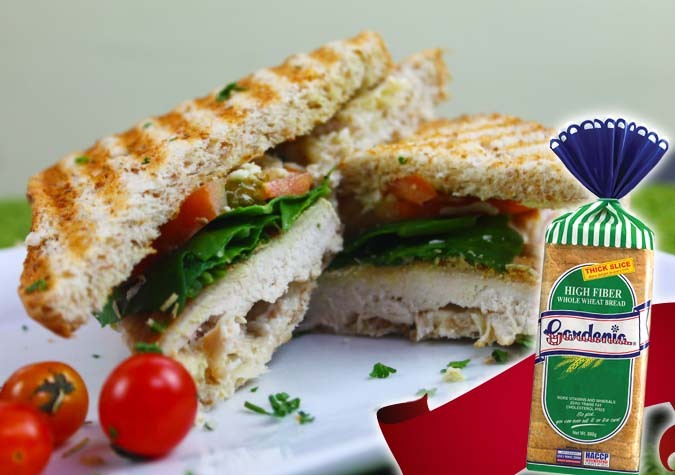 Top with pan grilled chicken, spinach leaves, sliced tomatoes and light cheese. Cover with another slice of bread. Toast sandwich for about 2-4 minutes or until cheese melts. Serve immediately.